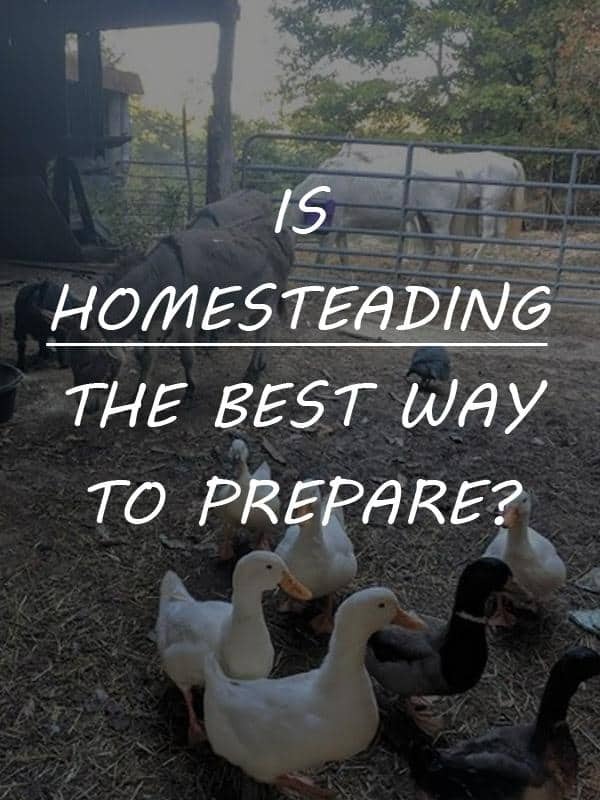 Homesteading and prepping are not the same thing, not exactly anyway, but they definitely can and should be linked. Homesteaders and preppers stockpile food, are focused on making available and conserving resources, understand what living off grid truly means, and strive to be self-reliant both now and well into the future…whatever it may bring. We began as small town preppers. Our goal was always to buy a little bit of land to enhance our survival preparedness on all levels. It took only one nearly two week power outage for us to grasp our town prepping had taken us as far as it could, and that, dear readers, was not far enough to ride out the mini apocalypse as well as we would have liked. The experience was enough to convince my beloved husband to put our rental properties on the market, and buy more acreage than we had originally anticipated and go all in as homesteading preppers. 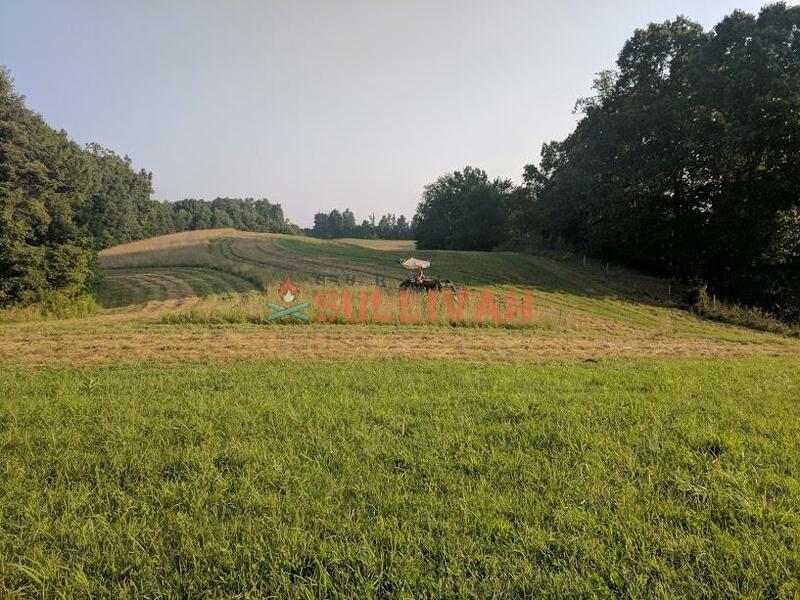 After lengthy and intense searching, reviewing, and property designing, we found our dream land, 56 secluded acres with one natural water source, a robust well, a natural spot to put in a pond, a home situated out of view about half a mile from the road, plenty of pasture and good growing plots, and surrounded by hills. The property was entirely fenced, though in need of what ended up being three month of “date nights” spent repairing it, two great old barns – that needed repair and massive junk removal, and a pole barn. Oh, and I worked copious amounts of used farm equipment and a backhoe into the deal. The four tiered property was surrounded by woods with great hunting, no neighbors in view on any side, and no easy access to the home or barn areas except via the narrow and winding dirt driveway unless you strapped on hiking boots. Sound like a dream spot for a homesteader? The perfect place to set up a survival retreat? It was both…. in spades. All of our livestock could free range completely out of view of prying eyes and we had enough space to raise enough hay to get them all through the winter – making the homestead/survival retreat truly sustainable. I truly believed homesteading was the best way to completely prepare not just to survive a SHTF disaster, but to thrive during the aftermath when society begins to slowly rebuild. Preppers know that the power grid will eventually go down during any type of long term nationwide disaster. Learning how to live off the grid and master old-fashioned pioneering skills is a priority for preppers – and homesteaders too, even if not for entirely the same reasons. There is almost a 100 percent overlap between homesteading and prepper survival retreat living skills and activities. Homesteaders engaging in survival acts on a daily basis, even if the chores are not labeled as such in their minds. When a homesteading guy or gal toils in the dirt to grow food, spends HOURS slaving over a hot stove canning the harvest, drying herbs, and dehydrating milk, they are thinking about making it through the winter with food to fill their bellies and not wasting money going to a grocery store to buy unhealthy processed food, not prepping for the apocalypse. But the end result is all the same – they are stockpiling food for the future. If the future just happens to bring about a SHTF scenario that sends marauding hordes violently fleeing from the city, they – the hard-working homesteaders, are prepared to survive and will not go hungry. When searching for a piece of land to buy, both homesteaders and preppers are focused on the available water sources and determining whether or not the currently flowing creek is seasonal or something they can count on to sustain the family, livestock, and to bring moisture to the garden if a drought hits. Both a homesteader and a diligent prepper has learned (or plans to learn) how to make their own candles, fuel, soap, and the like, so those items do not have to be purchased in stores…or for when they can’t because society-wide panic has emptied the supermarket shelves. Raising chickens and ducks is a simple and inexpensive way to infuse more sustainable homesteading techniques into your preparedness plan. 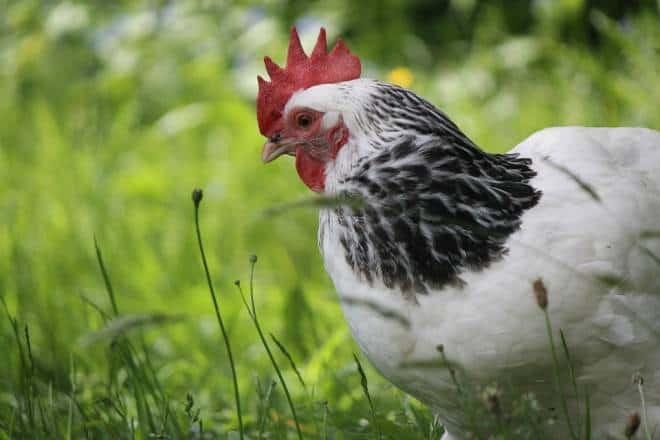 Poultry flocks provide a source of both meat and eggs and help rid the area of unwanted bugs that can destroy your growing crops and bite the heck out of you all summer long. Preppers who only stockpile store-bought shelf stable food and medications and long term storage food are doing themselves and their love ones a great disservice. One day, the food stockpiles will run out. The edible bounty could be stolen in one quick fell swoop – a field of growing crop cannot. A truly prepared individual sees the value in both types of food stockpiling activities – and does as much of both as their budget and space allows. The most incredible melding over the survival and homesteading communities I have ever seen happens once each year in the mountains of North Carolina at a place known as Prepper Camp. O.k. The place is actually known as the beautiful Orchard Lake campground the other 362 days of the year, but for three awesome days each September, the campground becomes a hands-on summer camp for adults. Folks from all walks of live converge in the little mountain town of Saluda to enhance their survival skills. The preppers eagerly file into the training courses that teach all manner of homesteading skills that will be essential in the quest to survive a SHTF doomsday disaster. The instant sense of acceptance and community is readily apparent at the annual gathering, even before you fully unpack our camping gear. Attendees never want to leave when the hands-on “prepper expo.” No one asks which label you belong under, prepper or homesteader, everyone there is a survivor in training, earnestly learning how to prepare themselves and their retreat to live a sustainable and self-reliant existence both now and when circumstances dictate doing so if a must to make it through another day. Some homesteaders are vegetarians and more of the hippy-not-into-shooting-guns than other homesteaders and nearly all preppers, but the similarities far outnumber the differences between the two groups. Thinking of homesteading as a lifestyle choice only aging flower children make is not only short-changing yourself and the survival plans you are making for your loved ones, but is being a narrow-minded as the “Sheeple” who think we all wear tin foil hats and never venture more than a few feet from our bunkers. Regardless of where your live, you can engage in some type of homesteading. You do not need to live on a 56-acre spread. You can homestead in an urban apartment by growing food vertically on an interior wall, patio or terrace, keeping rabbits in cages, and growing medicinal herbs in windowsills. If you live in suburbia, you have ample space to cultivate the bulk of your own groceries, even if forced to live under stringent HOA rules. All preppers should find a way to move out of cities and the suburbs and work from home or online. Not only will you have more space to homestead and become as self-reliant as possible before a doomsday disaster or even a local natural disaster hits, you will be far more safe on a daily basis. Living amid the unprepared masses will likely get you and your loved ones killed when the SHTF. We live in a rural county where there is no zoning, no permit office of any type – except a well digging and septic tank installation permit at the health department. I could have walked outside my door when being a townie prepper and build a room onto our house and a 15 foot tall purple fence with my own hands on a whim, if I had so desired. Even without all of the government intervention that has become commonplace in almost every community, not a single house has fallen down because it was not built by professionals, there are no eye sore properties in our county, and bars built next to churches – common decency and community standards are all the “rules” we need to keep our neighborhoods a nice and extremely safe place to live. There is simply not a single downside to being a homesteading prepper. Living off the land in a sustainable manner will only serve to enhance you chances of surviving a SHTF scenario. “I just don’t want to be too prepared,” said no prepper….Ever! Ready to get started homesteading for survival? Click here. Guess the difference (where there is a difference) is short-term vs. long-term prepping. Short-termers anticipate the disruption lasting months (maybe a year, tops) before things return to normal (factory food). Long-termers anticipate that ‘normal’ might not return so they develop renewable resources instead of stored resources. The hippy vs. guns factor seems to boil down to anticipated human behavior. The guns folks anticipate that people will behave badly during the ‘term’ (whether long or short). The hippy anticipates kumbaya.